Queen Village is a residential neighborhood located on the eastern edge of the city and bordered by Society Hill and Bella Vista. It is bound by Lombard Street to the north, Washington Avenue to the south, the Delaware River to the east, and Sixth Street to the west. 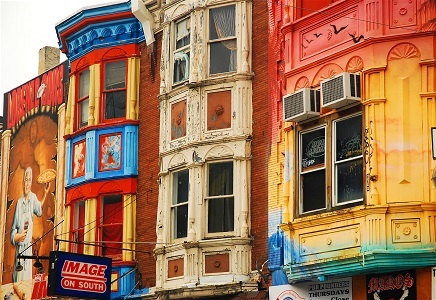 Queen Village is home to the iconic shops, eateries, and nightlife of South Street. Close by are the many ethnic eateries that line Philadelphia’s historic Italian Market. South of South Street, the streets of Queen Village are lined with quaint rowhomes, many of which are listed in the Philadelphia Historic Register. Queen Village’s close proximity to I-95 makes it ideal for commuters who enjoy city living. The median sales price for homes in Queen Village is $252,500 with a price per square foot of $230. The median rent per month is $1,575.